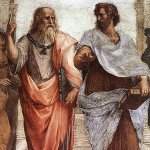 World Philosophy Day is celebrated every year on the third Thursday in November. Celebration of this holiday is supported by UNESCO, that initiated it in 2002. UNESCO introduced World Philosophy Day in 2002 to honor philosophical reflection in the entire world. Celebration of this day is aimed to encourage all people around the world to share their ideological heritage and open their minds to new ideas and thoughts. Philosophy is the study of fundamental and general problems, connected with knowledge, relationship between people and world. It also studies the process of learning, thinking, world and society universal laws, morality and values. It's not just a study, but its a foundation for all other sciences. UNESCO member countries organize various events to celebrate World Philosophy Day, including round tables, meetings, conferences, exhibitions, debates, presentations etc. Philosophers, scientists, teachers, students, journalists participate in these events, that are organized on the local, national and international levels.